Turns out going old school still has value for digitally-led organisations. The brief from ePress wasto translate their processes and author guidelines into a handy brochure that could be given out at in-person meetings and to new authors.ePress is an open access, creative commons publishing house that combines traditional academic peer-review processes with innovative publishing formats. 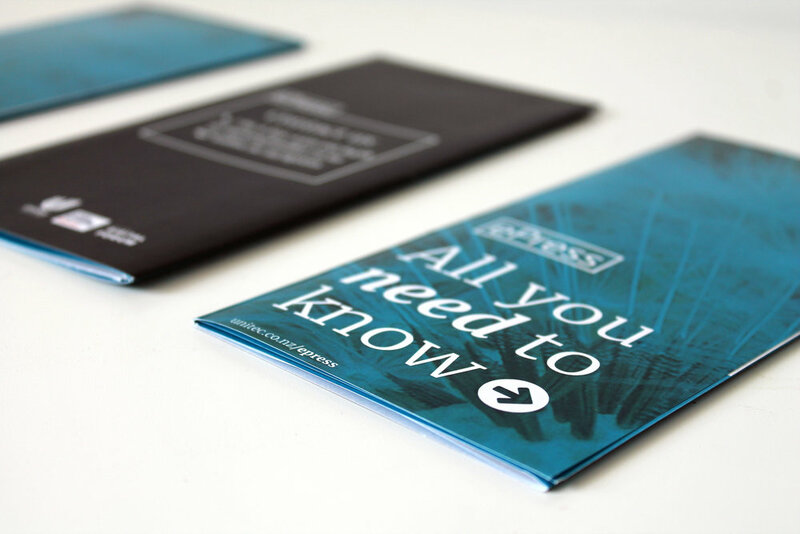 The team wanted this collateral to reflect its innovative, modern and indie, yet authorative presence. The design is relatively simple but with a playful twist. As well as the standard six page layout, I came up with the idea of using an A3 piece of paper for the brochure, which enabled printing on the inverse side. 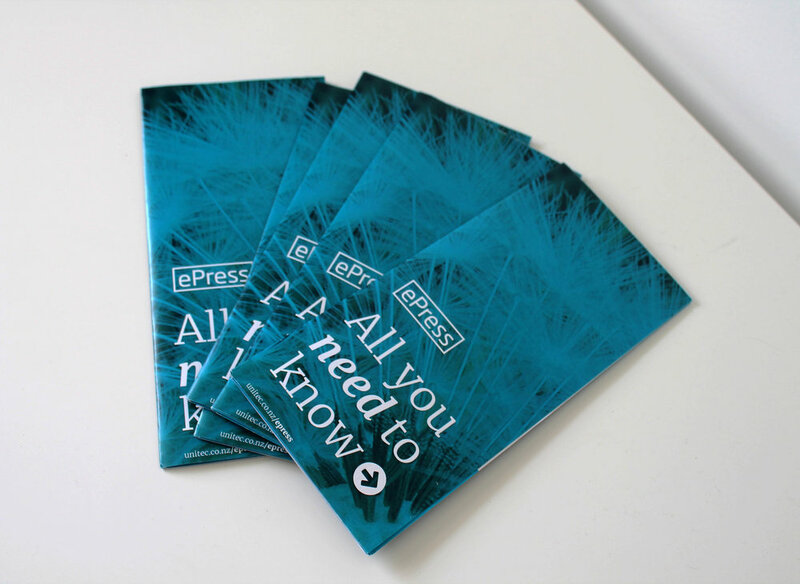 It opens up to reveal a poster-sized infographic of the ePress’ publishing process, doubling as a handy resource for new authors, a target group for ePress.